Palliative care is the care given to a person with an actively progressive disease that is not responding to treatment. This being an end-of-life type of care, we understand all too well the mental and emotional strain it can place on you. Our home palliative care services are customised to your individual situation and needs in the home. Our palliative home care assistance seeks to improve quality of life and help manage the challenges associated with the illness that you may be experiencing. Who Can Access Palliative Home Care Assistance? If you are living with a form of cancer, end-stage lung or kidney disease, Motor Neurone Disease, or another terminal condition you may benefit from in-home palliative care and support. Assistance during the bereavement period. How soon can I start palliative care? Palliative care can commence at any stage following diagnosis. Some people prefer to start immediately after they receive the prognosis, while others choose to start a little later. How long will I need home palliative care services? The quickest answer to this question is, “For as long as you need it”. You and your palliative care team will discuss your needs and determine how long you may need palliative care. 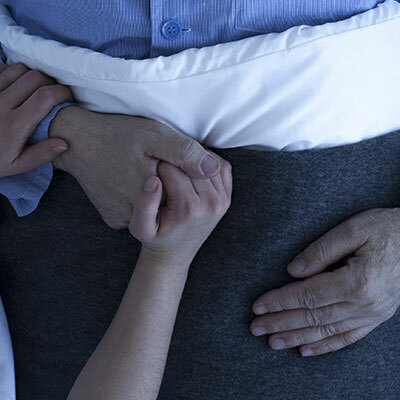 Do I still need to go to the hospital while receiving home palliative care services? Depending on the illness and the stage it is in, you will may still need to visit the hospital for some forms of treatment. The majority of palliative care assistance can be provided in the home. Your palliative care team will discuss your needs and how they can be met. We recognise and support the desire of patients to receive end-of-life care and pass on in the comfort of their homes. At Beacon Support, we pride ourselves on delivering home palliative care services you can trust. Compassion, empathy, dependability, and integrity are core values upheld by every member of our team. If you are looking for quality home palliative care services, do not hesitate to call us on 1300 435 782 or fill in the contact form.